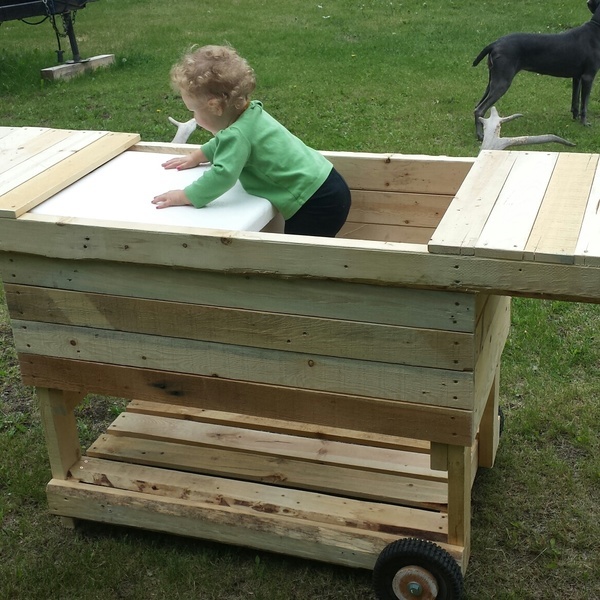 I got a bunch of pallets from a window treatment company in the local area and pulled some apart in order to put together this. 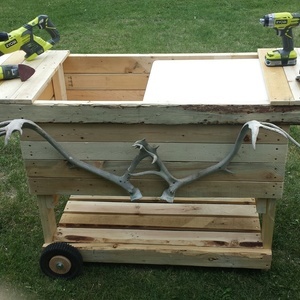 I think I spent a total of $10 for bolts, nuts and washers to make sure the wheels wouldn't fall off but other than that, all re-claimed lumber, old lawn mower wheels, an old cooler and a pair of old caribou antlers. I'd say for my first project using my Ryobi tools, it turned out pretty well. 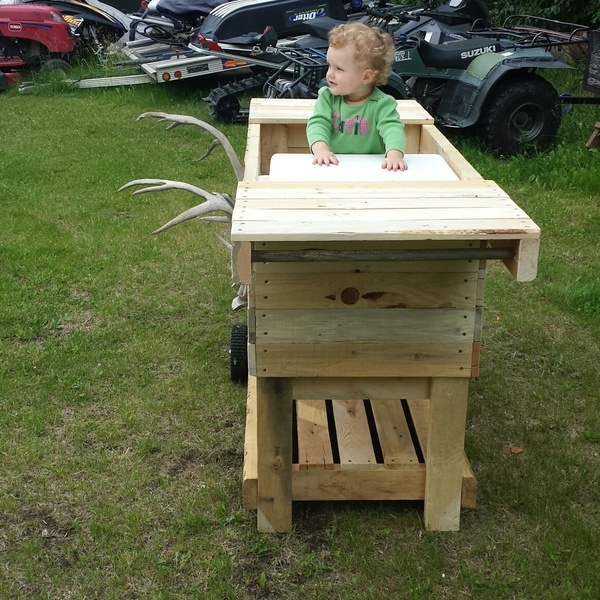 My daughter enjoyed riding in it for the pictures! 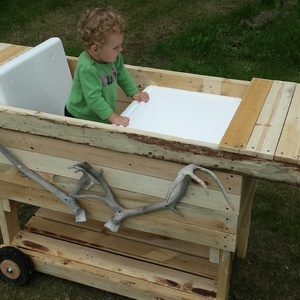 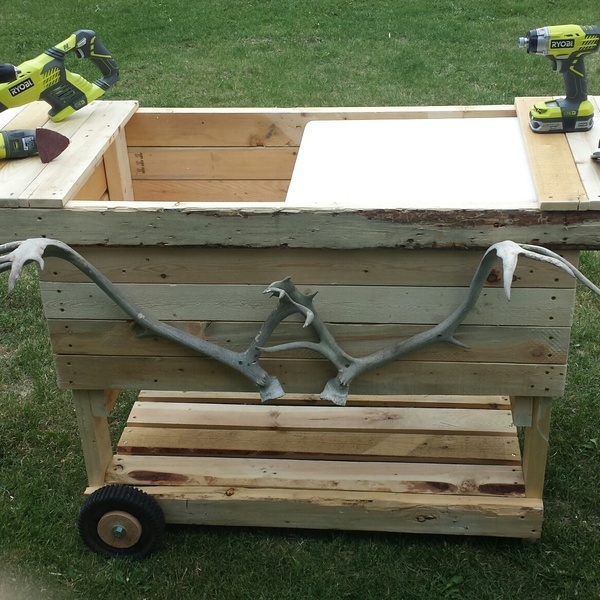 GRABBER SCREWS (1.5", 2.5") RE-CLAIMED PALLET WOOD, LAWN MOWER WHEELS, STYROFOAM COOLER, CARIBOU ANTLERS.